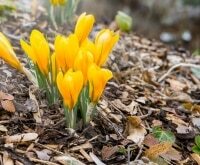 Growing the garden is half the battle. 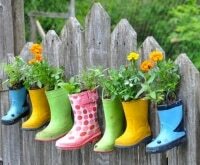 If your garden is successful, then you will have a bounty of fruits, vegetables and herbs to use up. 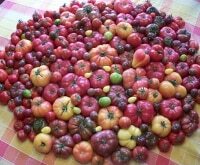 Often crops ripen in bulk, which means you may have a lot of produce to process at one time. 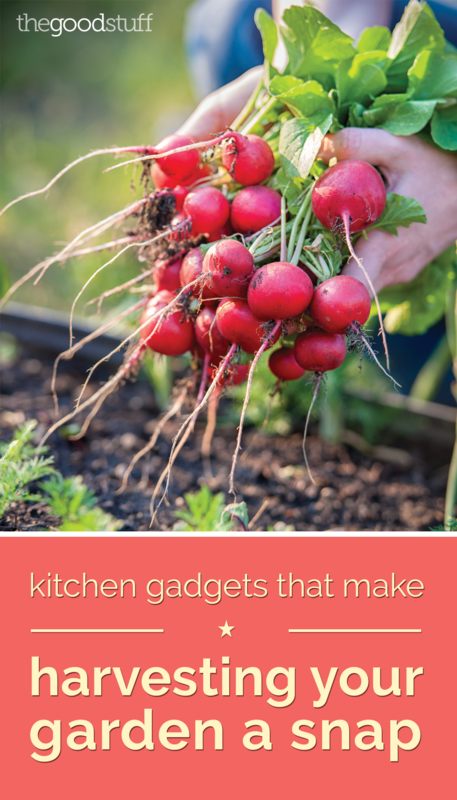 Here are 10 kitchen gadgets that make processing garden goodies (or grocery store purchases!) fun and easy. 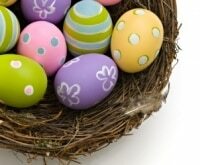 Before shopping for one of these gadgets, check for a coupon code for Sur La Table or Williams Sonoma! This gadget works like a push-pop. 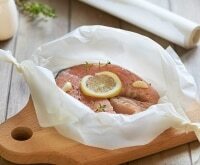 Fill it with fresh leafy herbs and freeze. 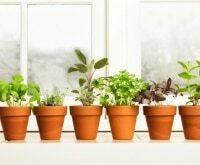 When you’re ready to use, twist the handle and slice or grate the herbs right into your dish. 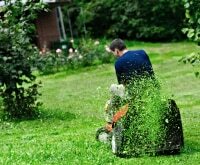 Equally tedious can be picking herb leaves like rosemary and thyme off their stems. 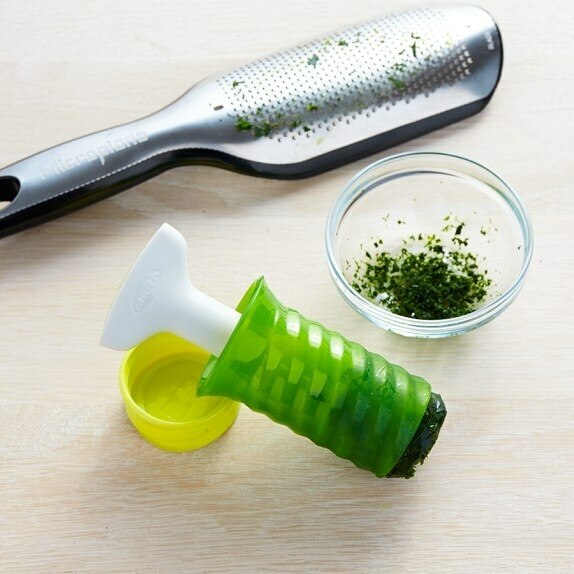 The herb stripper gets the good stuff off those stems in no time at all. 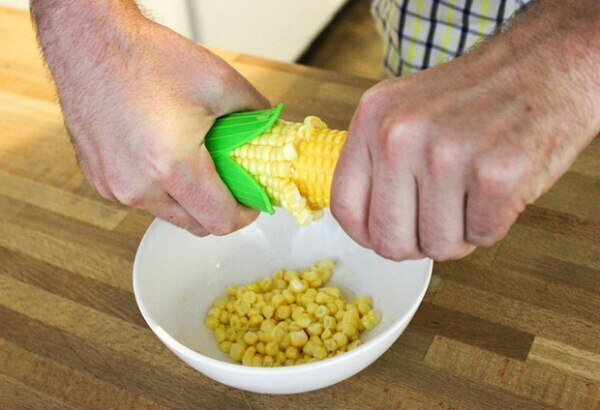 Get that corn of the cob with no fuss. 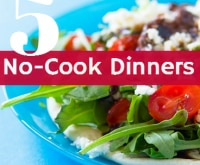 It will strip kernels off the cob in seconds – making it super simple to turn your harvest into a delicious corn salad. There’s nothing quite like a fresh batch of summer strawberries. 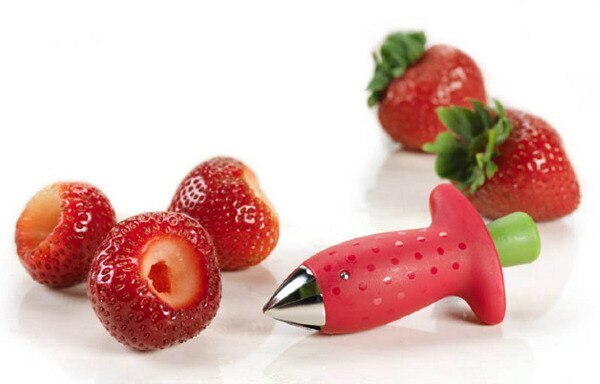 This strawberry huller will remove stems quick and easy. Turn two steps into one with the One Second Slicer. 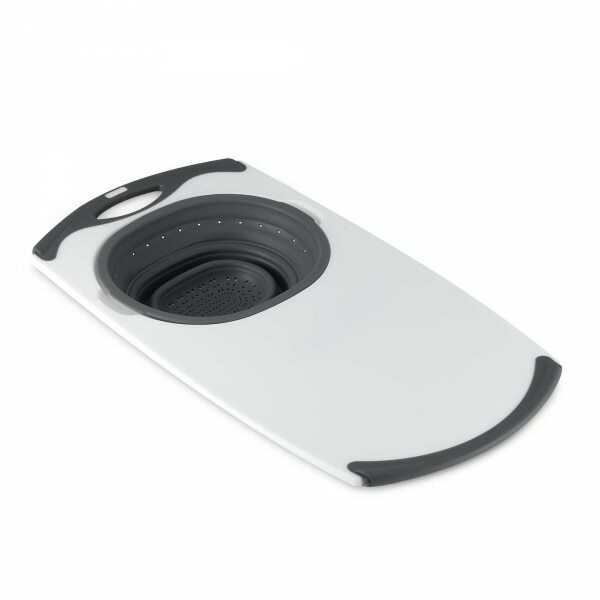 Choose a blade attachment to slice, dice, chop, mince, julienne or quarter in a single second. 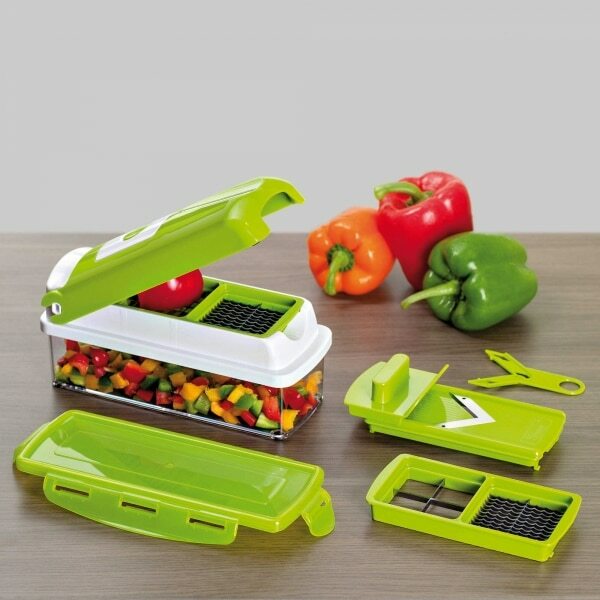 For added convenience, fruits and vegetables are diced directly into a storage container. Tomato farmers rejoice! 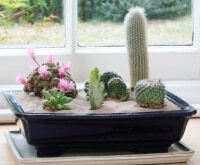 No more painful peeling of skins and scooping out of seeds. 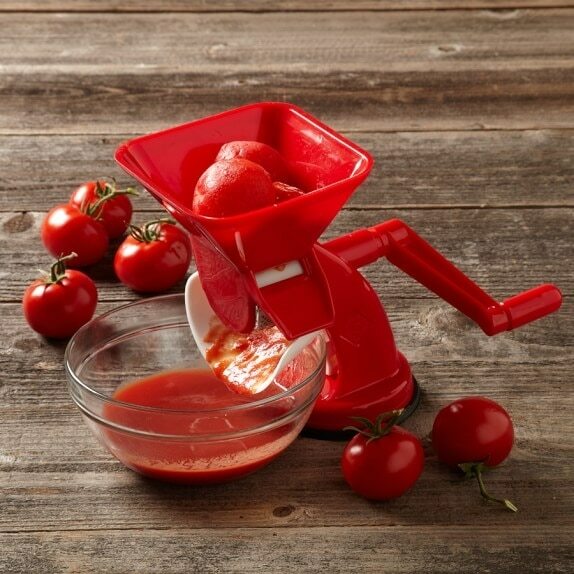 This tomato press removes all of that with a crank of the wheel — leaving you with just the delicious sauce-worthy pulp. 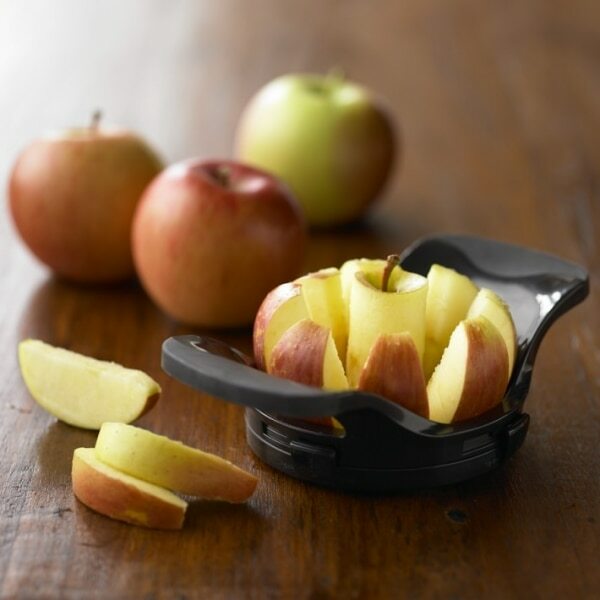 Coring and slicing an apple has never been so simple. With a single downward push, out comes the core and your apple is cut into 16 thin slices or 8 wedges. It works great on pears, too! 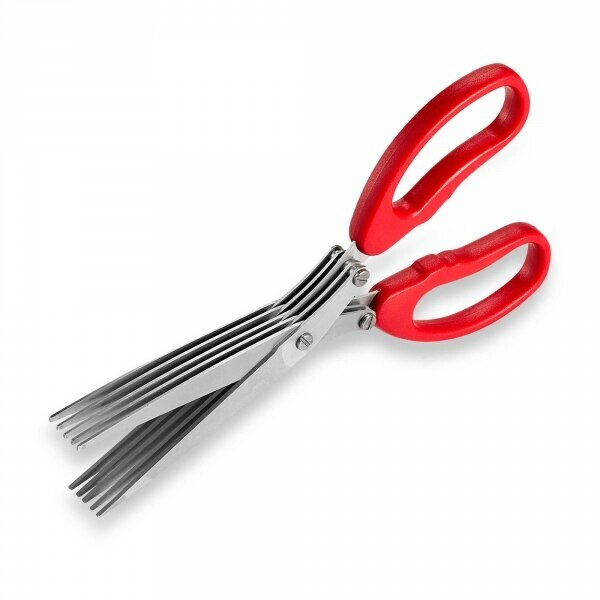 Chopping herbs can get cumbersome, but not if you have herb scissors. 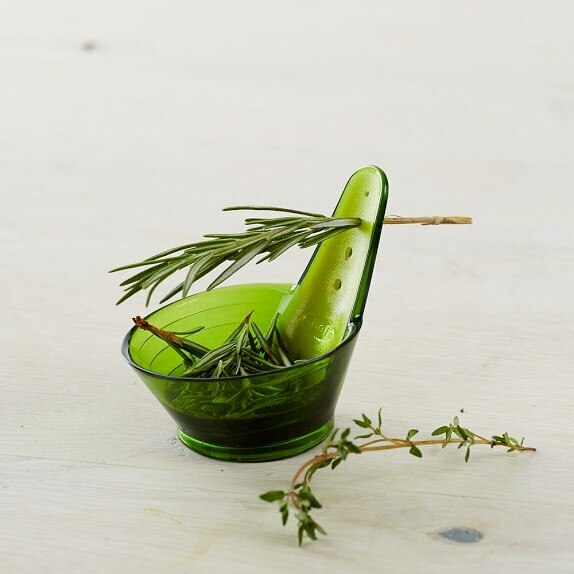 They have multi-blades, which makes it easy to shred your herbs into the perfect garnish. If you’re looking to reduce your gluten intake or simply add more veggies to your diet, then the spiralizer is for you. 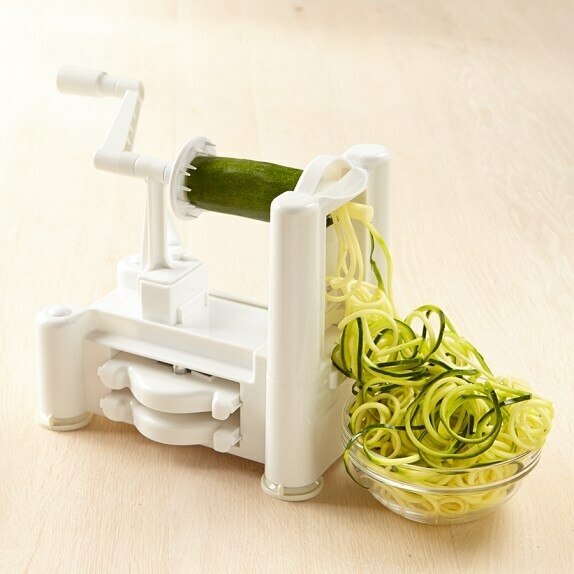 With a simple crank of the wheel you can turn zucchini into the perfect noodle substitute. 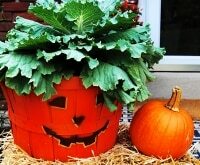 It also works great on apples, potatoes, carrots and onions. This is a versatile kitchen gadget every fruit and veggie lover needs. Slice and dice on one end and rinse on the other.